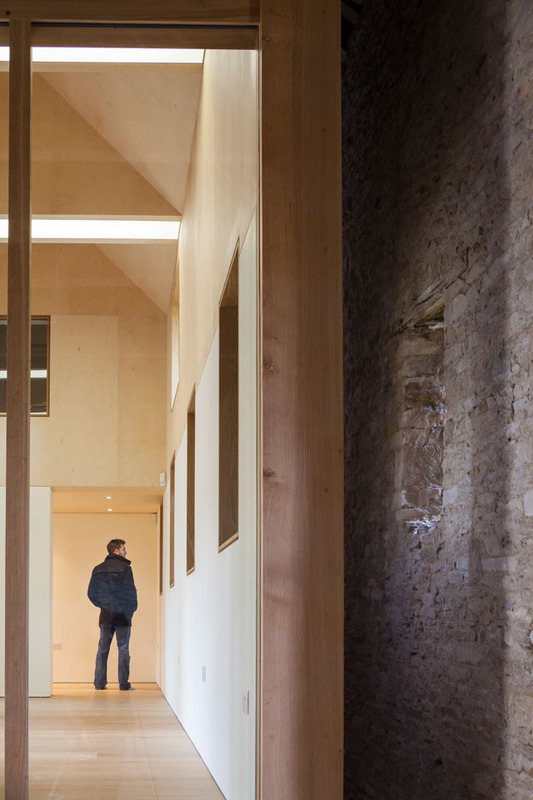 The Gallery is a lightweight timber structure, which in its concept is a “reversible” intervention – i.e. it “sits lightly” within the Barn. 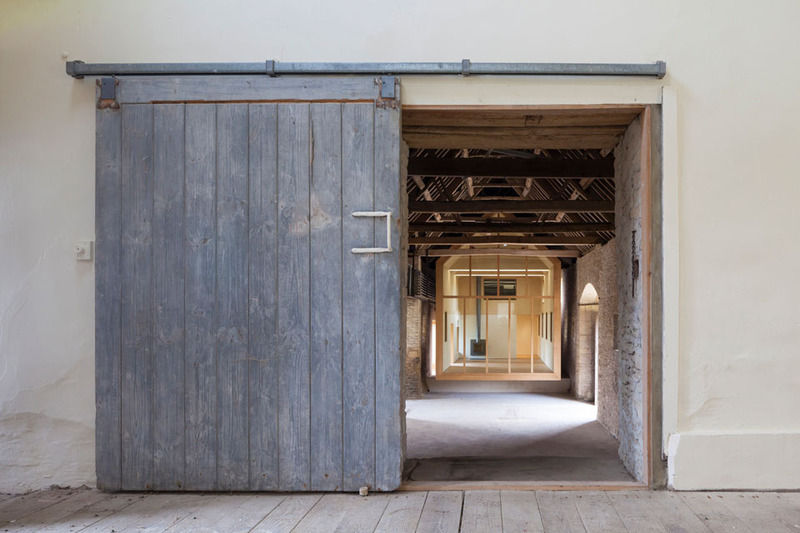 The Gallery only touches the Barn where it sits on the existing raised Barn floor, directly above the cellar below. It cantilevers over this floor, giving the impression of floating, or of a vessel which is launching forth. 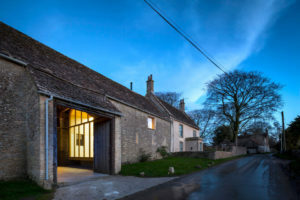 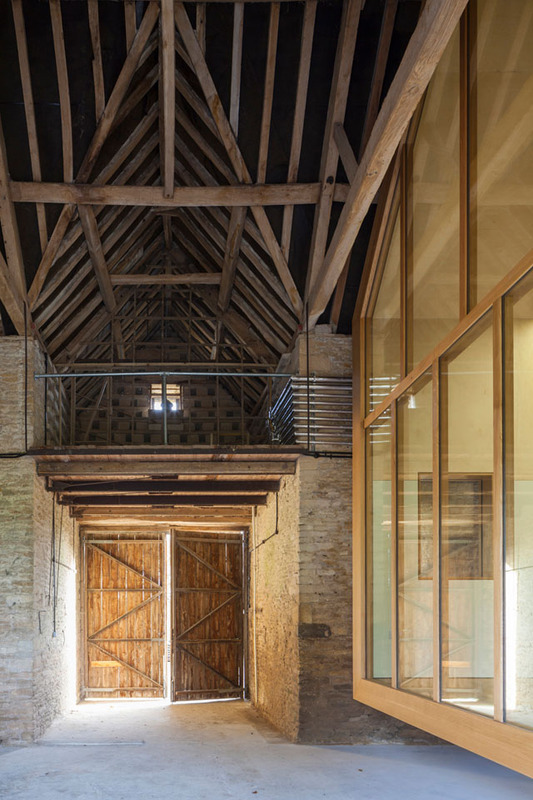 The restoration of the Grade II Listed Home Farm Barn and the intervention of a Gallery into the Barn. 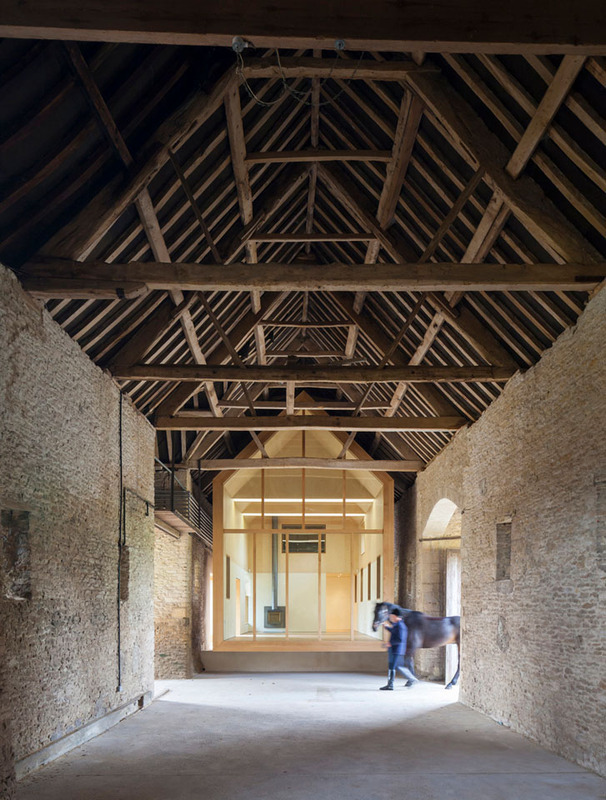 Our client wished to restore Home Farm Barn to its full glory and remove past interventions within it, which served to domesticate what is a bold historic structure. 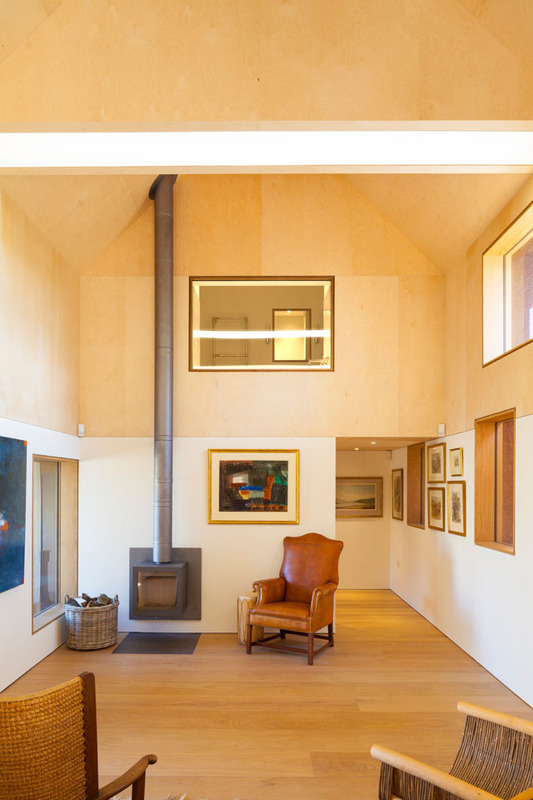 They also wanted to sensitively and creatively manage the interface between the House and the Barn. This line was blurred, and the two did not relate to each other successfully. Our client required a space within the Barn, which was warm, dry, light and airtight, and which could be used to house a personal collection of watercolour paintings. 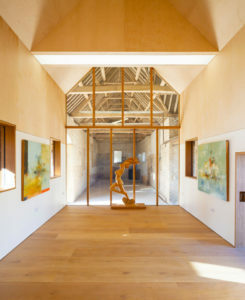 In response to our Client’s brief requirements we have created an intervention in the Barn which is conceived as a Gallery. 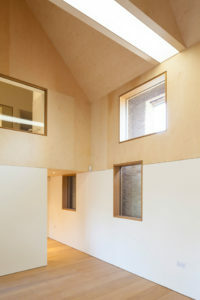 The Walls and Roof of the Gallery sit away from the Barn. 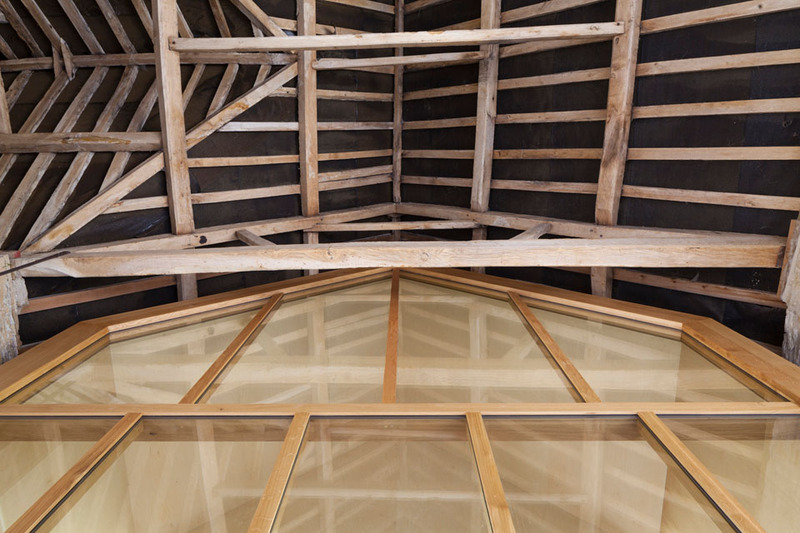 The roof undulates around the existing Barn trusses, creating a cast of the negative space. Framed views of the Barn sit alongside the paintings – the two being viewed together from the warmth of the Barn. 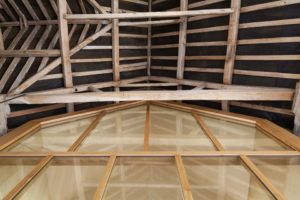 Full height glazing is provided to the gable of the Gallery which faces the Barn. 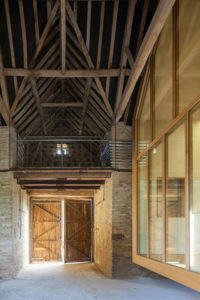 In this way, the full splendour of the Barn is revealed from the comfort of the Gallery. The soft warm qualities of the timber Gallery contrast with the hard-cold structure of the stone Barn.